Busman’s Holiday, that’s the term, isn’t it? This July I had a week off, relaxing in the sun, a little vino and time with the family. 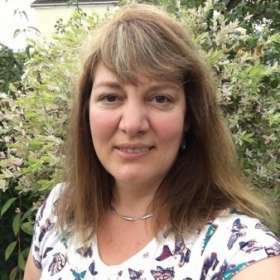 Then I realised that Jen Jones has announced that she is retiring and is holding the last exhibition at the Welsh Quilt Centre in Lampeter so I squeezed in a trip. I could not miss the last one! I thought I’d share some of my photos with you. 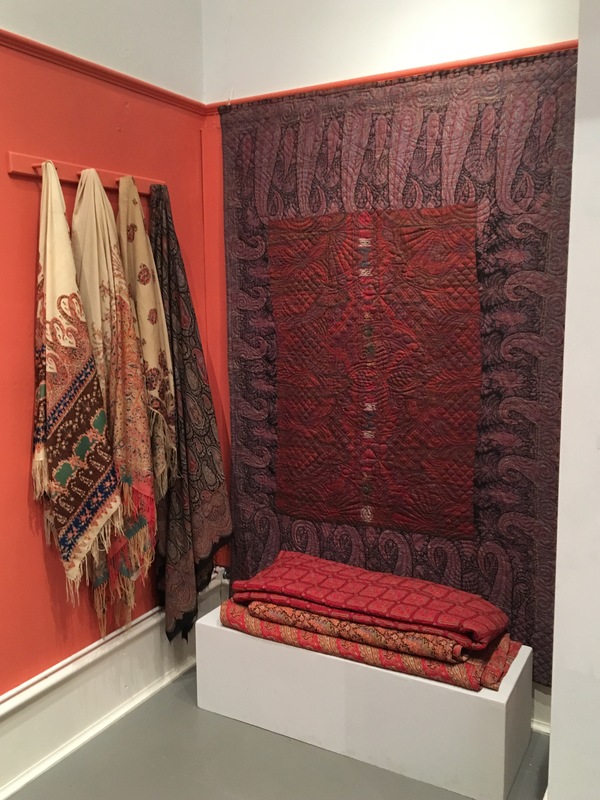 With this exhibition Jen has displayed snippets from the last ten years of displays, giving a wide example of the different ranges of antique quilts that she has acquired. 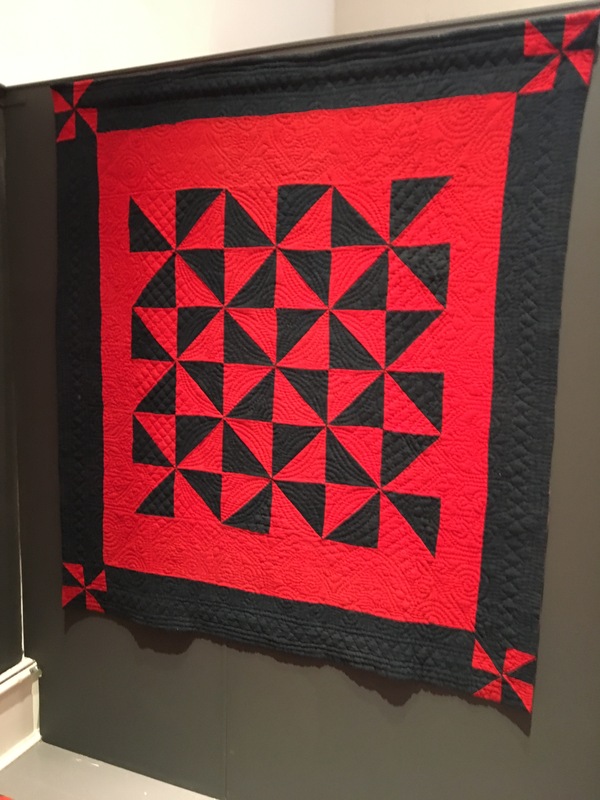 From black and red woollen quilts to the elegant wholecloths of the 1930 Rural Industries Bureau (RIB). 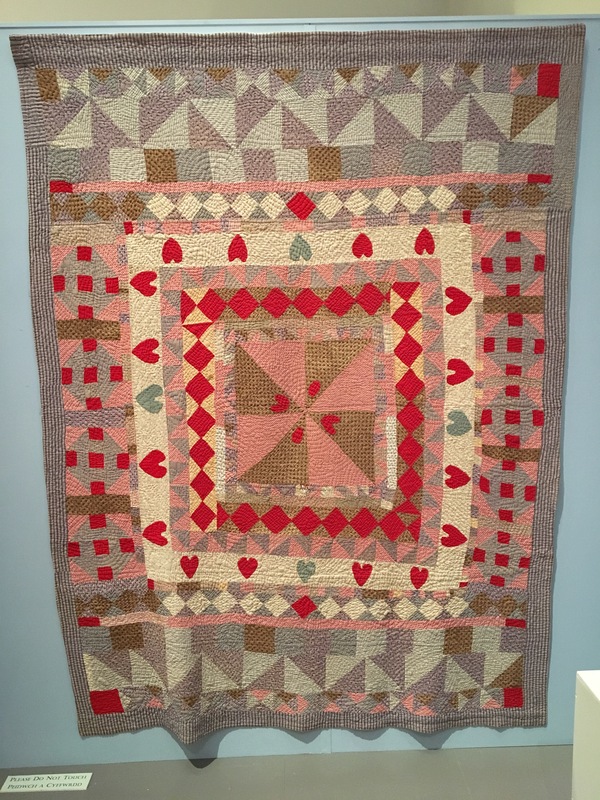 There were some Victorian pieced beauties, one with appliquéd hearts which wouldn’t look out of place in a modern home but all quilted by hand with a wide range of traditional designs. 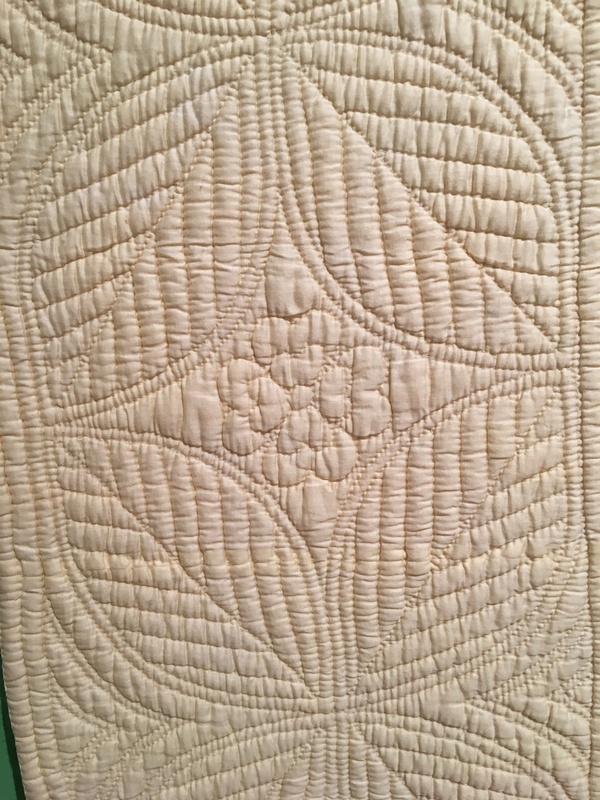 Jen has, over the years, been at the forefront of saving many antique quilts from the scrapheap and I would like to thank her for sharing her wonderful collection with us. 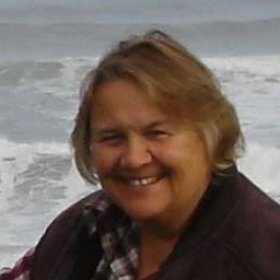 Best wishes for the future Jen. 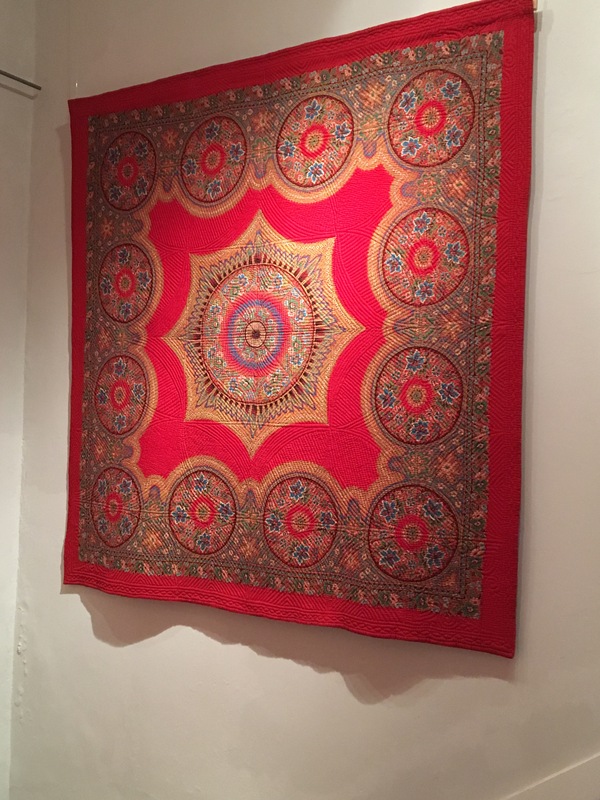 The ‘Nos Da/Goodnight’ exhibition runs until the 10th November 2018 at the Welsh Quilt Centre, Lampeter. 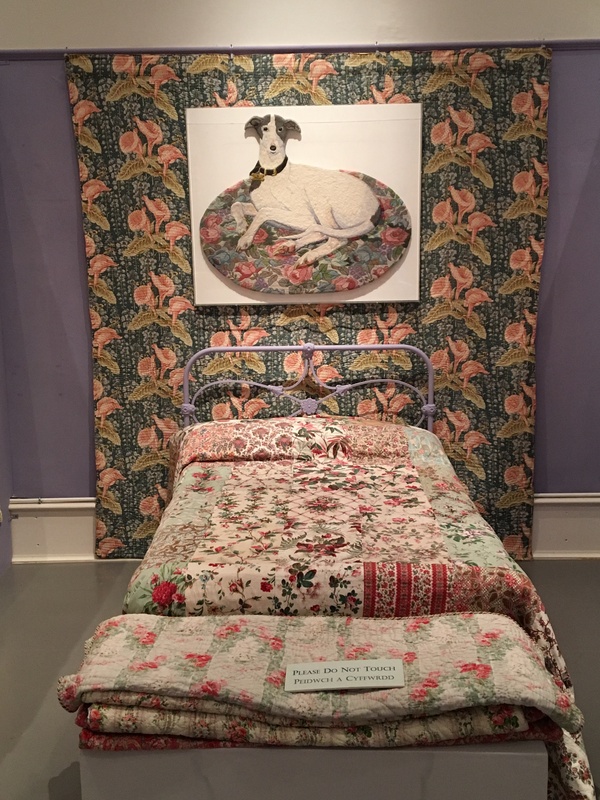 For a full review of the exhibition, by Sheilah Daughtree, plus more photos, see Septembers issue of British Patchwork and Quilting Magazine. So You Want to Get a Project in BP&Q Magazine? 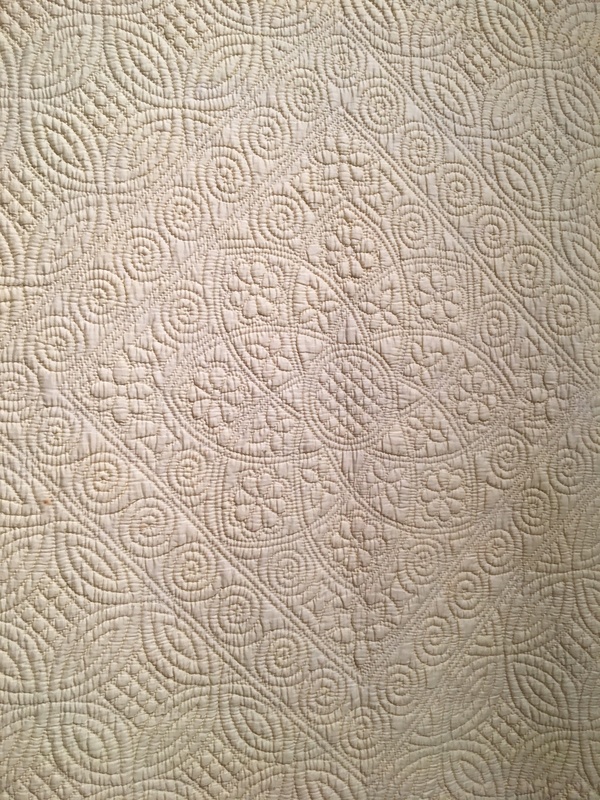 Beginners Guide to Quilt Shows How quilting blew up my cooker! My EQ8 Journey Valentine Day Panic!